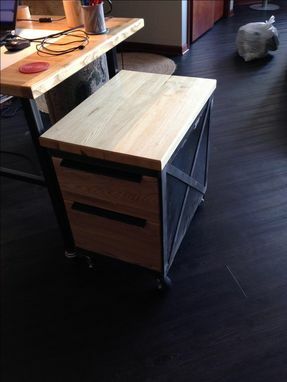 The customer had already had a metalworking craftsman reclaim an old industrial cart by welding on braces & drawer slides & attaching heavy duty casters. 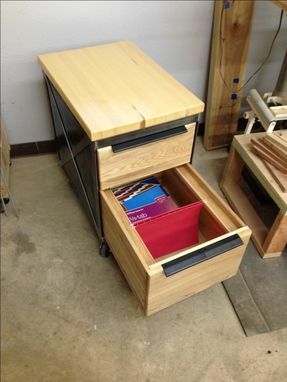 The Reclaimed Industrial File Cart also had an ash top when The Plane Edge, LLC, was contracted to make ash drawers. Specifically, the customer requested solid ash drawers to match the existing ash top. Both drawers would move smoothly on metal runners that were welded inside the cart. 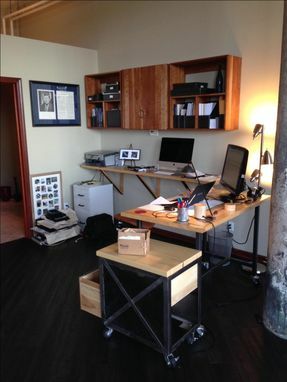 Additionally, 2 black matte handles were installed flush with the top edges of each drawer. 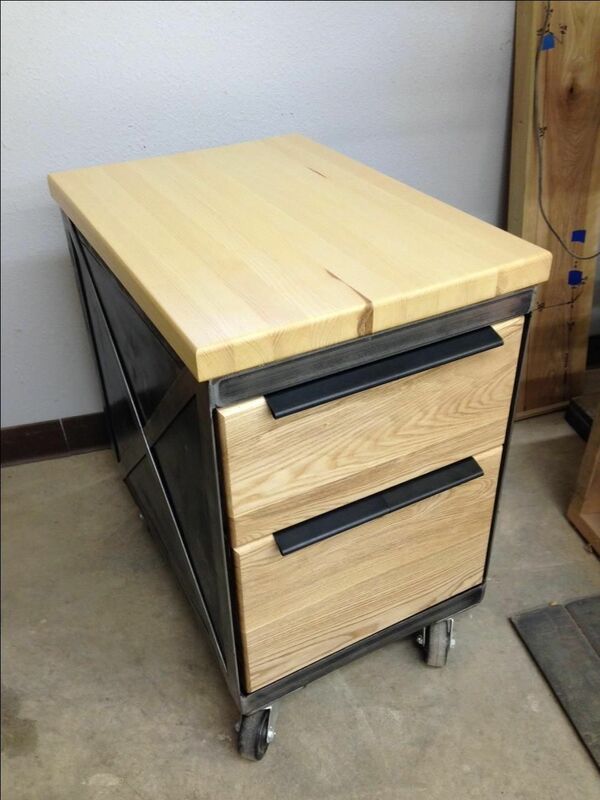 Dovetail construction was used for both drawers. 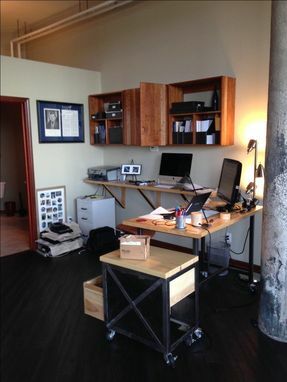 The smaller top drawer has a compartment in the back of the drawer; somewhat like a hidden compartment. 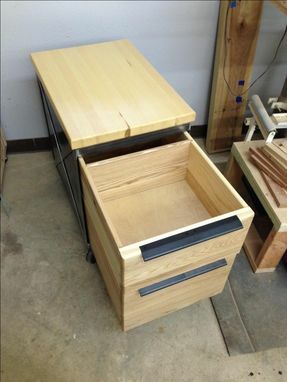 The bottom drawer is deep & has side supports for hanging file folders. The ash drawers are finished with 3 coats of crystal clear, water-based polyurethane.